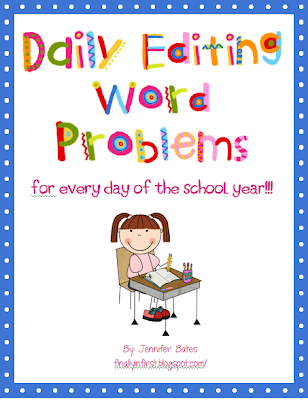 Finally in First: Daily Editing Word Problems are done!!! Ahhhh.....That was me..sighing in relief (or perhaps exhaustion)...because I FINALLY finished it. If you don't recall me posting about these last school year, here is what they look like. I have 30 students so I make 8 copies of the days page, then cut then apart with the paper cutter. Each student has a strip on their desk when they walk in. They glue it into their notebook, put the code date at the top, use editing marks to correct then draw a picture and solve the math problem! Of course we start the year by doing it together but by the end of the year they are awesome editors and problem solvers!!!! And the editing DOES translate to their own writing. I LOVE when I see these marks show up unprompted!! 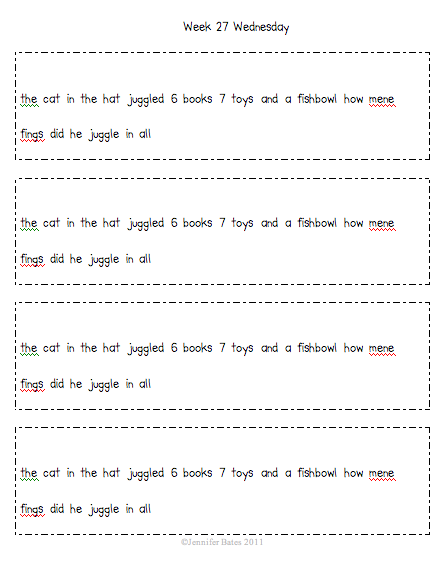 The first half of the packet doesn't include spelling errors so students see the sight words spelled correctly for a few months. 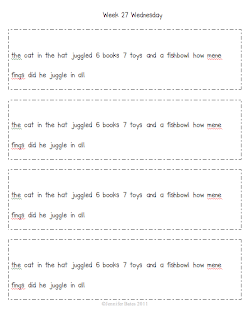 In the beginning of the year most first graders can't read that well so I project it with my digital camera and share the pen, having students come up and find the punctuation errors and circle sight words. As you can see from the example, I include book characters (Frog and Toad), common teaching themes (penguins), and holidays (well-known and otherwise) to keep things interesting! I hope you like them. I am a huge fan of these word problems! I think they are an awesome idea and definitely worth it! I will be getting me a copy! I posted about them also! Thanks Jenn! Very nice...these are on my TpT wishlist now! Now there's something to "HOOT" about! Thanks Jenn, I just added the whole collection to my wishlist. I don't know what i would have done last year without these. Oh my goodness, how brilliant! This is definitely on my wish list!